At one point or another we have all heard the term “cookies” come up when discussing web browsers and the Internet. A “cookie” refers to a small file or piece of data embedded in a website that gets stored on a user’s computer while the user is browsing that site. The file contains specific identifiers registering that user and tracks their movements within the website. This lets the administrators of the website know what pages a user is looking at and how long they stayed on certain pages relative to others. 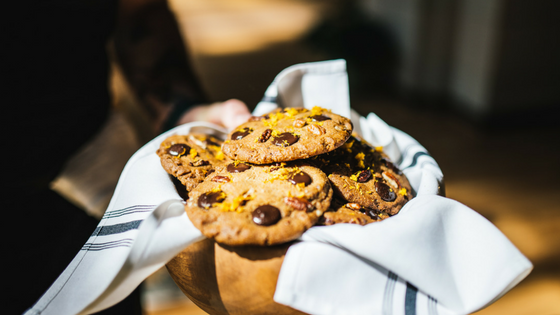 From a marketing perspective, cookies are a valuable tool as information concerning a user’s tastes and preferences can be obtained. They are also beneficial for site-tracking purposes, allowing administrators to see how many people are visiting their website on a daily basis. Also known as a “temporary cookie”, this type of cookie attaches itself to a user’s computer when they enter and browse a website. The cookie is then erased when the user closes the Web browser or exits the site. A session cookie does not collect information from a user’s computer or activity while it sits on the system. To Do: Disabling session cookies in your browser can be difficult. This is due to their “first party” nature, which means they belong to the website the user is visiting and subsequently all administrative ability rests with the administrators of the website. Also, most well-known sites such as Facebook and Google are required to have session cookies embedded in their programming, making it very difficult for users to get around them. Unlike session cookies, a persistent cookie does not disappear after a user exits a site. These types of cookies have a specific expiration date with the cookie continuing to transmit information to a website’s server every time a user visits the site until the expiry date comes up. For this reason, persistent cookies are also known as “tracking cookies” as marketers can use the information obtained from the cookies to study user behavior over a certain period of time. Persistent cookies are also used to keep users logged into certain website, thus eliminating the need for them to enter their log in credentials each time they want to access the site. 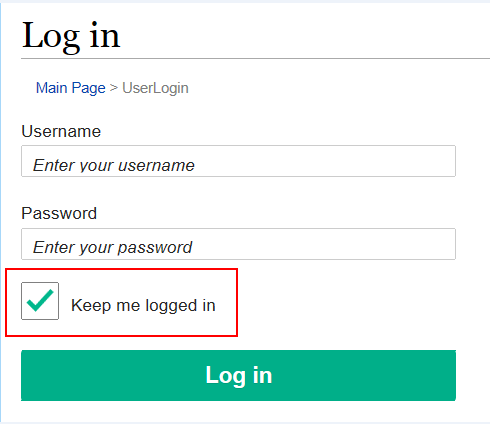 From a security perspective, it’s important to note that users should not enable the “keep me logged in” function offered on websites. This is not a safe practice and can be dangerous if any unwanted third-party were to gain access to your device. To Do: Some websites and web browsers allow users to disable their cookies. However, this cause problems in the functionality of the website or browser as information needed to run the sites such as user IDs and recently saved searches will not be available if the user has disabled the cookies that retrieve this information. In lieu of disabling cookies altogether, a safer option might be to clear your cache of cookies every once and a while to free up space on your device and get rid of any unwanted cookies. A good example of third-party cookies is through advertisements or banners for third-party products or services present on a website. Cookies are also present in the social media “buttons” commonly found on websites. When a user encounters an article or a piece of information, the website will provide the option to share the content thereby activating the designated social media’s cookies. To Do: It’s possible to block third-party cookies from your device. Browsers such as Google Chrome, Firefox, and Internet Explorer have options in their Settings menu that allows users to turn off their third-party cookies. Dennis O’Reilly’s CNET article provides step-by-step instructions to remove third-party cookies from a select number of browsers. While some users might see the benefit of cookies, many view them to be an infringement on user privacy and steps are taken to disable them whenever possible. Courtney Rosebush is a Marketing and Sales Coordinator at Triella, a technology consulting firm specializing in providing technology audits, planning advice, project management and other CIO-related services to small and medium sized firms. Courtney can be reached at 647.426.1004 x 227. For additional articles, go to www.triella.com/publications. Triella is a VMware Professional Partner, Microsoft Certified Partner, Citrix Solution Advisor – Silver, Dell Preferred Partner, Authorized Worldox Reseller and a Kaspersky Reseller.